Creativity doesn’t always come to mind when one thinks about software design and development. Creativity is typically reserved for the arts. Innovation on the other hand is often used to describe new software. But I have always found creativity to be an essential part of the custom software development process, particularly when deployed in low-resource environments. Working with PATH on the BID Initiative’s development and launch of an immunization registry in Tanzania is a good example. 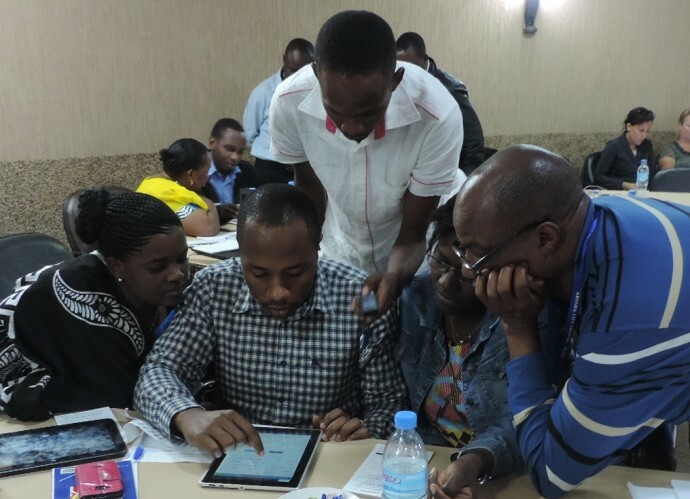 To digitize the stock management, service delivery, and administration for vaccinating 2 million babies a year in Tanzania where sustained electricity and internet is limited, you don’t just need to be innovative, you need to be downright creative. In many respects we’re doing things that have never been done in all of Africa. I’m an ICT Project Manager at IntraHealth International. IntraHealth is a global health NGO with a strong capacity for developing and implementing open source information systems. For this project, we’re extremely fortunate to be teamed up with ecGroup Inc. from Canada and AIRIS Solutions from Albania. Together with PATH’s BID Initiative team as the lead partner, we’re developing an immunization registry that will not only track all immunization encounters and vaccine inventory transactions, but exchange data with Tanzania’s other health information and supply chain systems through a complimentary health information exchange. My experience working with the BID Initiative team has been different than any other project. In Tanzania, BID’s local team, led by Dr. Henry Mwanyika, understands the situation on the ground so well. Having such strong leadership in country is crucial to this project. The IntraHealth team works hand-in-hand with the BID Initiative team on nearly everything. From the beginning, the approach was that there would not be a prime and subcontractor separation in the design and development process. We’re one team and everyone has access to the same files, tools, and resources. Both our teams are at our best when we are all sitting around the same table, oftentimes the dinner table, but mostly the board room table hashing out ideas, workflows, and system requirements on white boards. The stakes are high, but so are our energy and determination. When we were not together physically, we were sitting at the virtual table on Basecamp, an online collaboration tool. Hundreds of threads and files were exchanged, including slide decks and user interface mock ups. I can’t forget the countless Skype calls too. What global health project would be complete without them?We are now entering the pilot phase where we’re putting the first version of the applications and scanning routines to the test in real immunization clinics. The BID Initiative’s tremendous potential to reach more children through improved data collection, quality, and use drives us to get it right. The stakes are high, but so is our energy and determination to achieve something great and make a difference.Photo: PATH/Mwanaidi Msangi. Health workers test the new electronic immunization system. This post originally appeared on BID's Latest, the blog of the Better Immunization Data Initiative. The BID Initiative is funded by the Bill & Melinda Gates Foundation.